General Appearance: A majestic, dignified, elegant dog. Powerful, smooth, and strong. Size, Proportion, and Substance: Height-males, 30 to 32 inches at the withers; females, 28 to 30 or more inches. Background: The Great Dane is truly a gentle giant. Playful outdoors and reserved in the house, the Dane is a loyal friend. 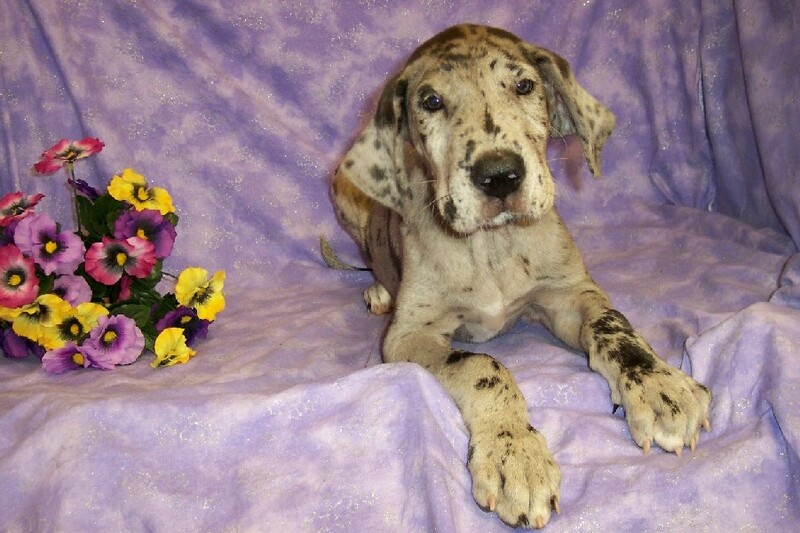 Great Danes are wonderful play mates for children due to their kind nature. Because of their large size, training is a must. You must learn to walk your Dane before he learns to walk you!! Exercise is also important for good health. Grooming is minimal.